Pioneers in the industry, we offer ricoh gen5 roll to roll uv printer and roll to roll uv printing machine from India. 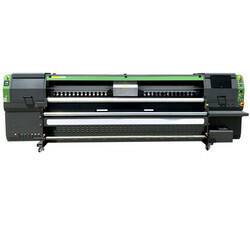 We are the leading supplier of UV Flatbed Printing Machine made available to our clients at competitive prices. Media Type : Vinyl, Canvas, Fabric, Wallpapers, PVC, Plastic etc. We are offering Roll to Roll UV Printing Machine to our clients.